Tyler Olson/ShutterstockVacations are extra nice when you’re super rich. The world’s richest people always travel in style. From private jets and yachts to custom excursions, vacations for the super rich are perfectly planned. 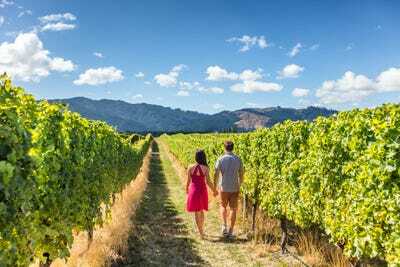 One travel company, Abercrombie & Kent, shared the itinerary for a 25-day, 6-continent tour that costs $US150,000 ($AU193,000). For many of us, glacier hiking in Patagonia, whale watching in Australia, and stargazing in Easter Island are merely pipe dreams. For the mega-rich, that’s all accomplished in one month of the year. Those in the upper echelon of wealth value travel like the rest of us, except their experiences are vastly different. 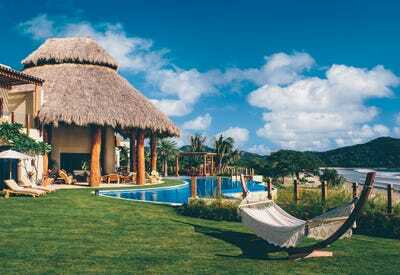 Instead of reading travel blogs, consulting hot travel lists, and scouring the internet for cheap airfare deals, the mega-rich often outsource their vacation planning to luxury travel agencies. Abercrombie & Kent is one such company. The travel and concierge service transports guests on its fleet of private jets and chartered mega-yachts with the exclusivity and five-star treatment millionaires are so accustomed. Its portfolio of luxury family tours ranges widely, including trips such as origami and kimono dressing lessons in Japan, riding in a tuk-tuk through a Tanzanian village, gladiator combat lessons in Rome, and kayaking among the giant tortoises in the Galápagos Islands. But one of Abercrombie & Kent’s must luxurious experiences isAround the World, a 25-day journey through 7 countries and 6 continents for $US150,000 per person. 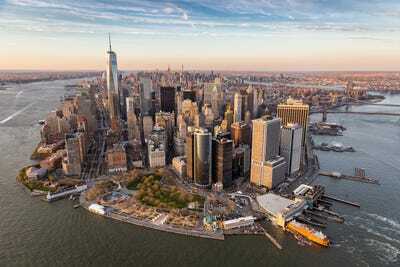 Below, a closer look at the Around the World itinerary – how the mega-rich travel the world. 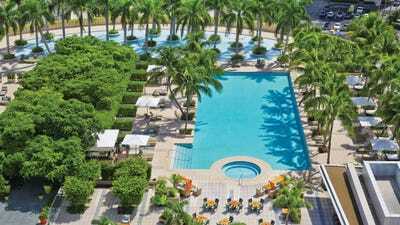 The trip begins in Miami, where travellers mix and mingle during the first night. They stay at the Four Seasons, and enjoy the fitness centres and on-site restaurants. The global adventure begins in the morning. Board a private jet and depart the US for Nicaragua. Guests arrive at the luxurious Mukul Resort and Spa, situated on the country’s Emerald Coast. There’s no shortage of adventurous and exhilarating activities in Nicaragua. Explore the cloud forest on foot and from up above on a zip line. Or, there’s the option to sport fish, take in a round of golf, or pedal around on a bicycle. The ultra-rich can also imbibe the country’s finest rums and try their hands at cigar rolling. 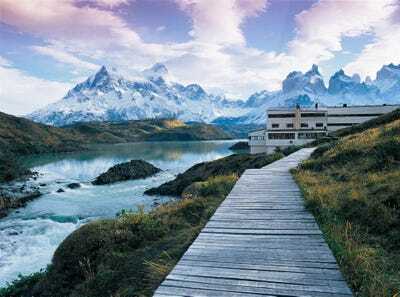 One of the best ways to explore the pre-historic Patagonian fjords, glaciers, and rocky crags is by water. The region is rich with wildlife so it’s not uncommon to spot dolphins, grey foxes, Patagonian puma, or Andean condors. An expert glaciologist is on hand to lead glacier climbing tours for the ultra rich as well. 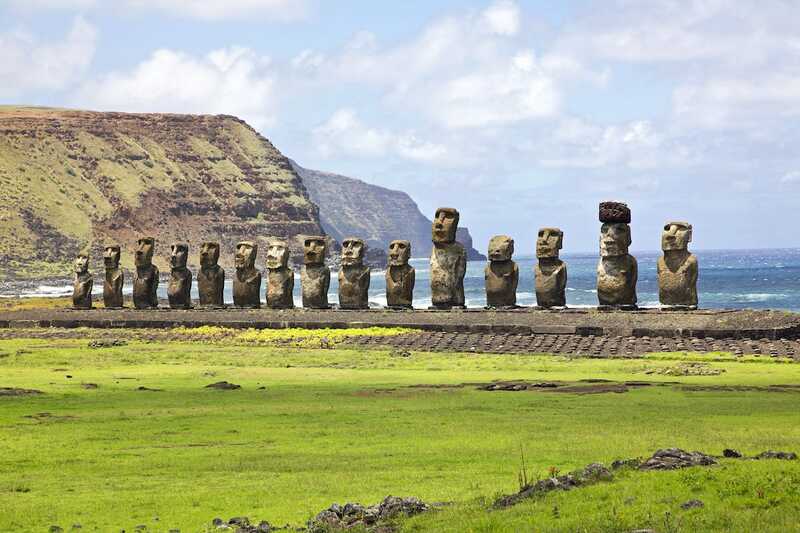 Leave Patagonia and jet to Easter Island, situated in the Pacific Ocean and one of the most desolate and awe-inspiring destinations on the planet. The population is roughly 5,000 and many of its residents have lived on the island for generations. 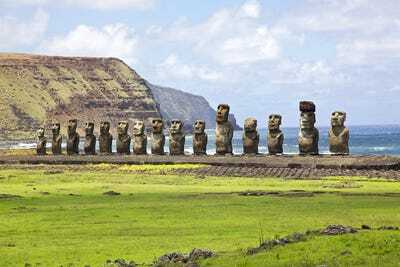 An archaeologist shares the island’s elusive lore and provides historical background on the island’s 900 or so stone effigies. In the evening, an astronomer leads a stargazing expedition. 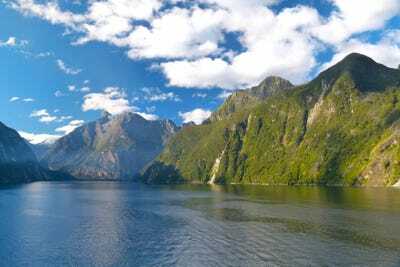 Cross the international dateline and arrive in New Zealand. The country provides unspoiled beauty and bucolic countryside. The blend of indigenous peoples and 21st-century metropolitan flair makes it a place unlike any other. Indulge in New Zealand’s wine at a winery, take a private helicopter to Sutherland Falls, hop in a 4×4 and visit Skippers Canyon, once the nexus of New Zealand’s gold rush. No visit to New Zealand is complete without walking the ‘The Lord of the Rings’ trail and visiting Middle-earth. The second week of the global adventure begins in the Land Down Under. Take in all that Australia’s west coast city of Perth has to offer. Board a private yacht down the Swan River to the opulent and exclusive Royal Perth Yacht Club for a barbecue or ‘barbie’ lunch. Travellers spend the day on secluded white sand beaches or snorkel in the reefs. By night, they board a luxury catamaran and indulge in local cheeses, meats, and wines while taking in the sights of humpback whales swimming in the Indian Ocean. The private jet heads west and lands in India. Forget the crowds at Agra’s Taj Mahal, the ultra-wealthy prefer the seclusion and relaxation of Cochin, India. 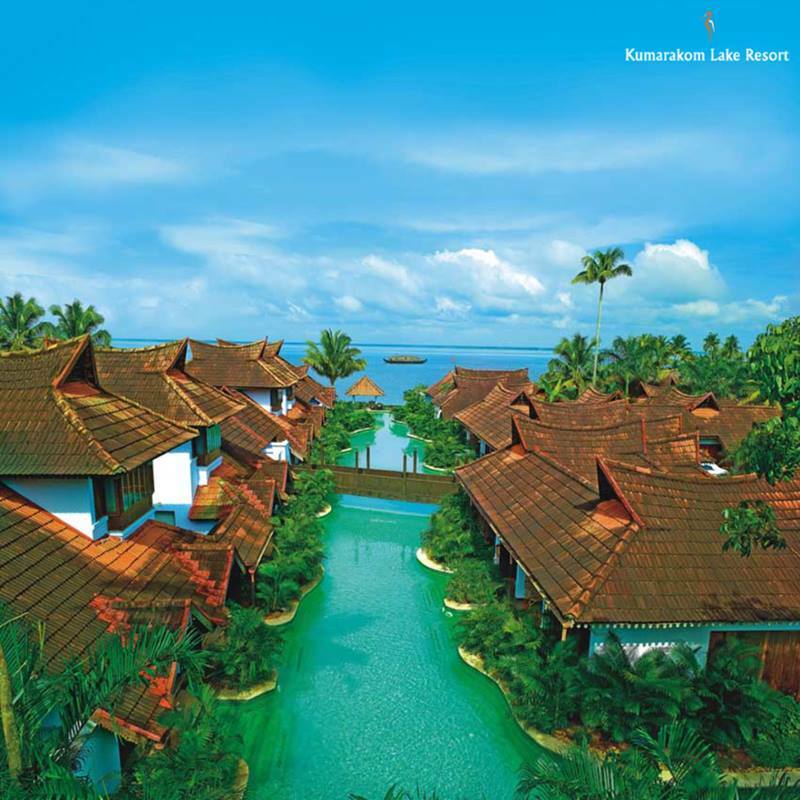 The Kumarakom Lake Resort provides peace, tranquility, and signature spa treatments. Travellers are also exposed to local culture and treated to lively dance performances and authentic local flavour. The private jet lands in the United Arab Emirates and a luxury vehicle drives to the Musandam Peninsula in the Sultanate of Oman. Cruise the Gulf of Oman and take in the pale limestone cliffs of the Musandam fjords. The area is ripe for water sports like fishing, snorkelling, kayaking and stand-up paddleboarding. While on land, local chefs lead a private Arabic culinary class and teach the benefits of Eastern medicinal herbs. East meets West in Georgia. 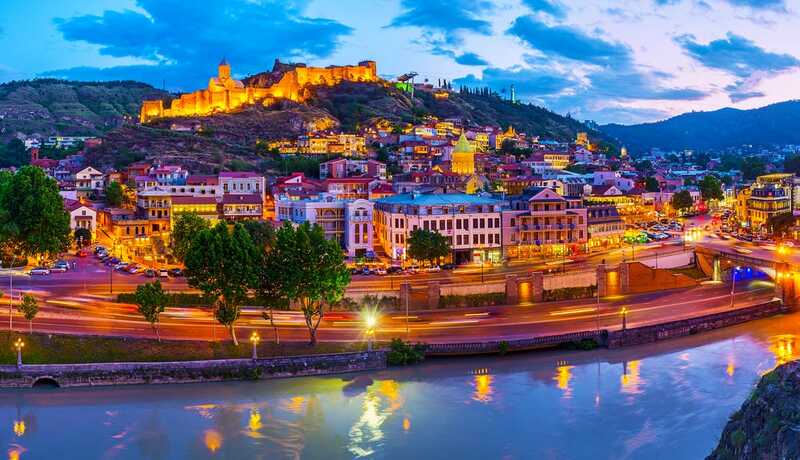 The last stop of the tour is Tbilisi, Georgia. Visit a 17th-century fortress, explore the city via 4×4 truck, and enjoy the musical stylings of choral singers. Travellers also taste Georgia’s wine at a local delicacy pairing. The last night in Tbilisi wraps up with a farewell dinner. The odyssey concludes in New York City.